The Fiona 1/4 Turn Wall/Spa/Sink Set is an excellent addition to your home. It delivers great performance and is built to last. It is elegant and modern in design, and will surly complement the décor of your kitchen or bathroom with ease. With a gooseneck swivel spout, the Fiona 1/4 Turn Wall/Spa/Sink Set is certainly quite stylish. It is manufactured to the best of standards and features durable brass construction and a graceful chrome finish. Thanks to ergonomic design, this tap set is also easy to operate. As a quarter turn tap, you simply need a flick of the wrist to turn water on or off. It has also been designed it to offer easy installation. 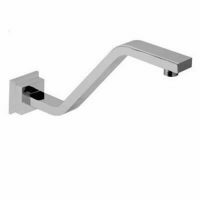 The Fiona 1/4 Turn Wall/Spa/Sink Set is offered by Alpine, one of Australia’s finest tapware manufacturers. As a result, it is extremely durable and exhibits the highest standard of quality. 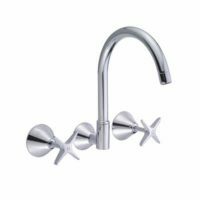 The Fiona tap set is a 4-star WELS rated product. At Ross’s Discount Home Centre, the Fiona 1/4 Turn Wall/Spa/Sink Set is currently available at an all-time low price. This offer is only valid until stocks last. Make sure to take advantage of this offer – buy this great tapware set and add a touch of flair to your home today!